Chris Boerner /Burner/ is an artistic woodturner, specializing in creating beautiful, one-of-a-kind pieces of artwork from a variety of rare and unusual wood. 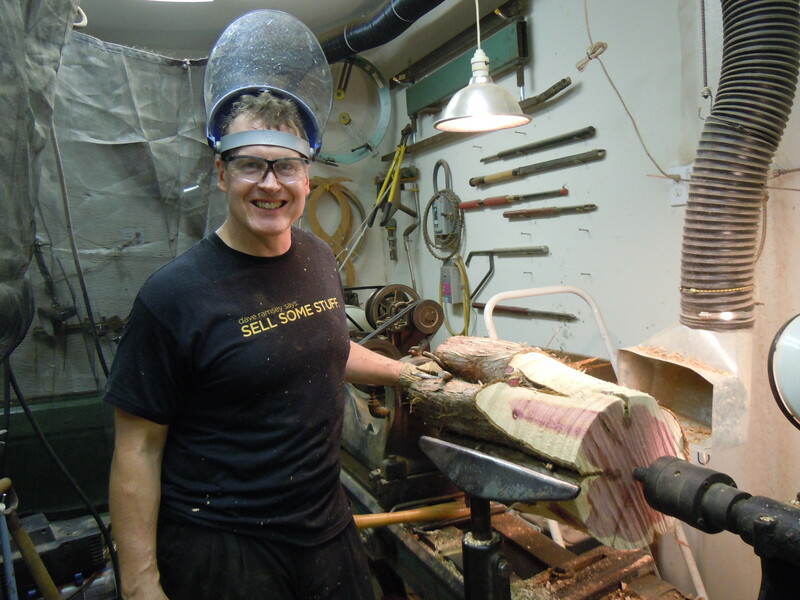 Chris began his woodturning career while living in Honolulu, Hawai’i, in 1989. He has developed his skills and techniques over the years, during his spare-time, while working full-time in the elevator industry. Basically being self-taught, Chris works hard to create intricately and technically challenging pieces. Using delicate and steady-handed tool work, precise hand sanding, buffing, and oiling, along with great detail to even the bottom of every bowl, Chris strives for perfection. Along with his methods and techniques, Chris uses his natural eye for each piece’s shape and balance, so the beauty of the wood and grain can be maximized. Chris has overcome many obstacles during his woodturning journey such as working in make-shift workshops turning in temperatures ranging from sub-zero to well above one hundred degrees, during hours when most people are sleeping. Then, because he turns unusual bowls, many times he finds that he must make one-of-a-kind tools for that one-of-a-kind piece, which is very time consuming. Finally, the greatest ongoing challenge is the search for wood. Chris has repelled down the side of a dormant volcano, received permission to retrieve downed rare woods on government properties, and removed fallen trees from homes and businesses. Chris searches for wood that has dynamic color and grain which may have burls, holes, and bark inclusions. Though these characteristics add to the difficulty and danger turning the wood, it increases Chris’ determination to create a piece that is truly unique. While living in Hawai’i, Chris was accepted into the prestigious juried Pacific Handcrafters Guild of Hawai’i, and exhibited his work throughout the islands. When he moved to North Carolina, Chris was a member of the Triangle Artists Guild of North Carolina for 12 years participating in art exhibits throughout North Carolina, including The Page Walker in Cary and Horace Williams House in Chapel Hill. 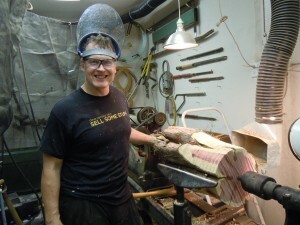 Chris is a long-time member and current President of the Woodturners Guild of North Carolina, helping to promote and teach the art of woodturning throughout the community. Chris’ work is part of the prestigious Waterbury Collection and its publication, Conversations with Wood, and has been on display at the Yale University Art Gallery, Minneapolis Institute of Arts, and other prominent national art museums and galleries. He and his work have also been featured in the News and Observer and on TV, ABC11-WTVD. Chris and his wife, Kathy, along with their two children, moved from Hawai’i to North Carolina in 1997 to be closer to family, where they still live today. Chris continues to create his beautiful artwork, while working full-time as a Branch Manager for a major elevator company.